At the Phoenix Center, confidential and effective client care is always our first priority. With over 35 years of experience, we have been caring for the citizens of Greenville County through quality prevention, intervention, and treatment services. Rebecca (Becky) Maddox has served individuals and families in the substance use field for almost 28 years. She entered the system as an adolescent counselor at Behavioral Health Services of Pickens County and later worked with adults who were referred by the criminal justice system. She has been with the Phoenix Center for almost 16 years as the Deputy Director before accepting the Executive Director position in March 2018. Becky is a passionate advocate for individuals and families who struggle with a substance use disorder. This stems from her family’s heartbreak and loss, especially the death of her dad over 30 years ago. Becky’s message is one of hope that no matter how long or short the recovery, every day and every person in recovery matters. Becky leads through service and love every day. Her professional accomplishments include expansion of services for adolescents through the residential program at White Horse Academy, expansion of services to women and children at Serenity Village, and expansion of opioid treatment services through successful completion of the Certificate of Need process. 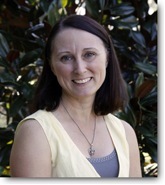 Becky is a graduate of Gardner-Webb University and earned a Master in Public Administration from Clemson University. Her personal accomplishments include a happy marriage with 2 wonderful children who understand the importance of service to their community.